With the right treatment and a bit of TLC, you can keep your cottons smelling great and unstained! 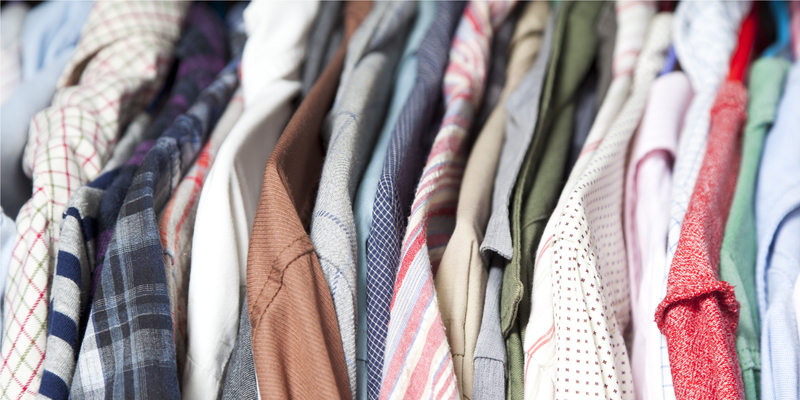 And these 5 tips to care for cotton clothing should be in your laundry bible! The best way to prevent your garments from losing their colour is to hand wash them in cold water. If using the washing machine, always a good idea is to use colour catching sheets. Use a colour safe stain remover/stick to pre-treat your cotton garments in specific regions. Focus on the areas exposed to sweat and antiperspirant (the armpits and neckline areas) as well as on stain spots. This will not only help you combat staining, but will also help eradicate body odours. If the stain is fresh, run your item under the cold tap through the back of the stain for 3-5 minutes, and then rub the stain gently every minute or so. If the stain persists, repeat those actions 2 to 3 times. To remove older stains, rub in a small amount of liquid laundry detergent while the surface is still moist, and then leave it to set for 5-7 minutes. After, gently rub the stain between your fingers again to help loosen it, and rinse thoroughly with cold water. Note that cotton shrinks very fast on the first wash and in general is notoriously known for shrinkage. Always read the care labels on your clothes before washing them for cleaning instructions. If unsure, stick to cold water. Avoid drying your clothes on a wash line as hanging can inevitably stretch out their fabric. If you are using the tumble dryer, do not leave your cotton items there until they are completely dry; instead, take them out while still a little damp and allow the moisture to evaporate gradually. If your clothes did end up several sizes smaller or bigger, there are many life hacks on how to bring them back to life on the internet, including our own blog post about how to un-shrink your clothes. Cotton is a fairly tough fabric and can be ironed at higher temperatures without the risk of shininess or burning. For a neater and smoother look, ensure you iron the back or inside of the fabric as well as the outside. Start ironing the underside, or inside the fabric first, so as to eliminate creases while ironing the outside. If there are pre-existing stains/marks on your garments, you risk setting them into the fabric by ironing over them, however, to avoid this, we suggest not to iron the area, or to iron it using a damp cloth placed over it. There are multiple life hacks on how to rid of creasing online, but we like this page. *On an environmentally friendly note, if opting for a hot shower method though, we’d recommend to take shower at the same time as removing the wrinkles on your clothing. Yes, you heard it right – eaten! By moths and silverfish. Like silk and wool, cotton is an organic fabric, and absorbs sweat and natural oils from the skin very easily, it often becomes the prey of these home pests. In order to ensure that you favourite cotton garments are safe, don’t leave your dirty clothes lying around for too long – keeping on top of your laundry is one of the best methods of stopping moths becoming a problem. And remember that Laundrapp is always here for you! Declutter your wardrobe – more space between clothing means there’s less of a chance that moths can eat through multiple garments at once. Vacuum every corner of your wardrobe. Many people never think to vacuum inside their cupboards, but this is where the moths and silverfish will be hiding. If you’ve got some old wool lying around, hang that among your other clothing – moths will almost always go for wool above all others. And don’t forget the last, if not a bit stinky, remedy – mothballs!